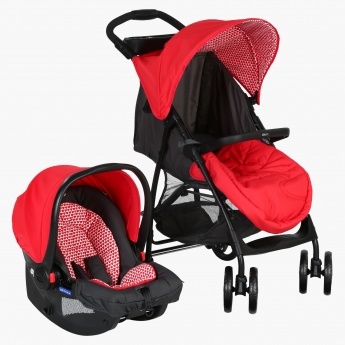 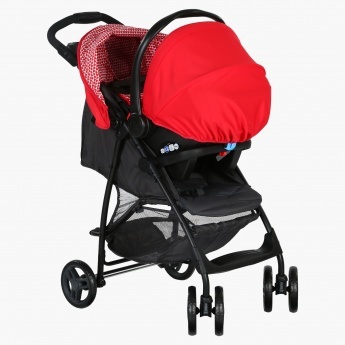 Graco Travel System | Red | Includes stroller and infant carseat. 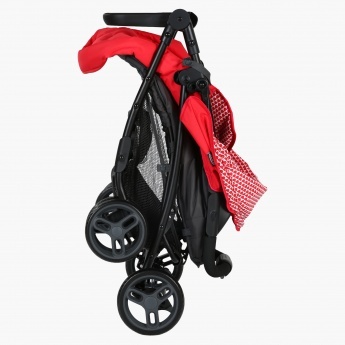 Traveling with your kid will be a fun as you have this alluring travelling system. 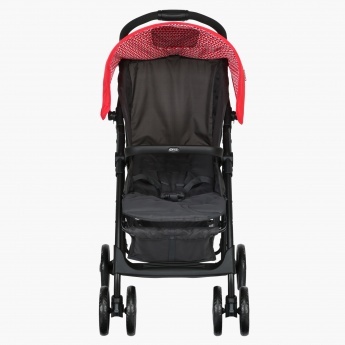 The stroller will help you take your baby for a walk while the car seat will offer maximum protection from bumps or jerks keeping your kid safe during the journey. Feature 1 : Includes stroller and infant carseat.